DePaul University is a private university in Chicago, founded in 1898. Although the university celebrates its “Catholic character” in its mission statement and seeks to foster the Catholic faith on campus, the school is being criticized for refusing to allow an organization to display a pro-life poster. 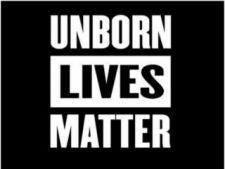 Earlier this month, the DePaul College Republicans requested permission to display on campus a poster bearing the phrase “Unborn Lives Matter.” Campus officials declined their request, saying the pro-life sign would have to be redesigned before it could be displayed.